Dr Elaine Toomey is Associate Director of Cochrane Ireland and Research Fellow within Evidence Synthesis Ireland. She is also a Health Research Board (HRB) Interdisciplinary Capacity Enhancement post-doctoral research fellow with the Health Behaviour Change Research Group, where she is currently involved in the development of a complex intervention to enhance infant feeding practices with a goal of improving childhood obesity outcomes, specifically focusing on process and implementation outcomes. She also works clinically part-time in a physiotherapy practice. Elaine was a Visiting Researcher at Hunter New England Population Health Service/Newcastle University (Newcastle, Australia) in 2018, the Centre for Studies in Family Medicine in Western University (Ontario, Canada) in 2018, and the Ottawa Hospital Research Institute (Ontario, Canada) in 2017 and 2018. Before joining the Health Behaviour Change Research Group in NUI Galway, Elaine graduated with First Class Honours in Physiotherapy (BSc) from the University of Limerick in 2010. She subsequently received a fully funded MSc scholarship to explore clinical interventions for non-ambulatory people with Multiple Sclerosis. 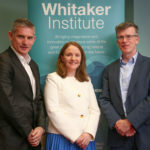 In 2016 she completed a fully funded PhD in University College Dublin which used mixed methods to investigate implementation fidelity within behaviour change interventions to promote self-management in people with chronic low back pain and/or osteoarthritis. Elaine's research interests are in the development, evaluation and implementation of robust health behaviour change interventions, implementation science (narrowing the gap between research and practice), open science and health research methodology with specific expertise in fidelity/adaptation and process evaluation of behavioural interventions. In 2016 Elaine was awarded a Leamer-Rosenthal Prize for Open Social Science for Emerging Researchers from the University of California Berkeley for her work in fidelity and transparency of behaviour change interventions. Stemming from this, she is also a Catalyst for the Berkeley Initiative for Transparency in the Social Sciences (BITSS). (2017) Opening the black box: the need for fidelity and process evaluations of behaviour change interventions. (2017) From Galway to San Francisco  The Berkeley Initiative for Transparency in the Social Sciences. (2015) Self-management for people with back pain and osteoarthritis  reviewing the evidence. (2017) The implementation fidelity of infant feeding interventions to prevent childhood obesity: a systematic review. Psychology, Health and Medicine 2017. (2017) Using an infant feeding intervention to target childhood obesityBackground, rationale and aims of the HRB Interdisciplinary Capacity Enhancement (ICE) Childhood Obesity project. SPHeRE Network 3rd Annual Conference 2017. (2017) Exploring Implementation Fidelity within Complex Behaviour Change Interventions: from physiotherapy to public health.